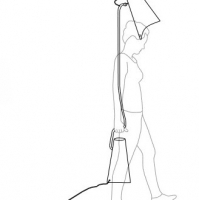 This adjustable head floor lamp was inspired by folded paper cone. 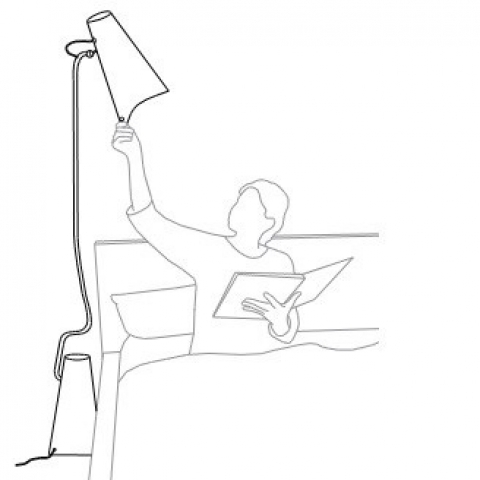 Directed light makes it ideal as a reading lamp or as a gentle mood enhancer. Combination of materials within the piece makes it bring character into the interior. 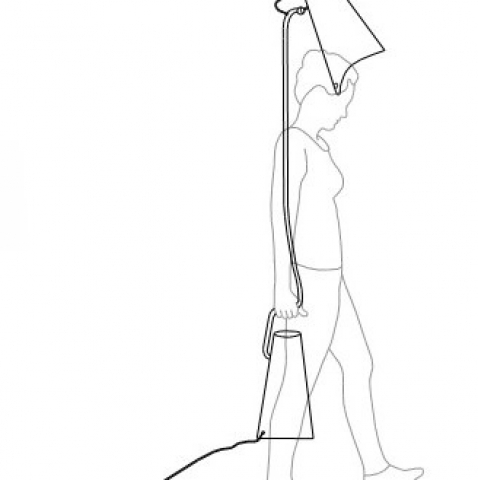 Heavy base works as counterbalance when manipulating the lampshade. Top of it is grooved what creates space for trinkets. 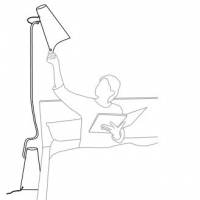 The irregular shape stem suggests its function- lamp can be easily carried from once place to another.